You are here: Home / Blog / Leadership / What’s all the fuss about brain-based coaching? History seems to indicate that (nearly) every time something new comes along, it is feared, fought or outright rejected dating back even to the first notion that the earth was round (See 1, 2, 3 for a few industry-specific examples). So it now seems for neuroscience and brain-based anything. I’ve been doing work in this area for nearly 10 years and I still hear how neuroscience is a fad and “brain-based” is simply the new hype. I don’t know about you, but I don’t think the human brain is going away anytime soon. So exploring and understanding how it functions (which, it turns out, is often counter-intuitive and contradictory to what we THINK) and how to leverage that understanding can be critical to our success in the classroom, the conference room and the board room. What do we mean by brain-based? Brain-based, as we use the term, refers to applying neuroscience research to our ideas, our programs, essentially most of what we do. It is driven by the primary organizing principle of the brain as put forth by Evian Gordon–minimize danger and maximize reward, with minimize danger being the MUCH STRONGER default. Being brain-based means paying attention to everything you think, say and do in terms of whether you are creating dangers or rewards for the brain. The challenge is that so much of what we think, say and do can be rather “thoughtless” (researchers estimate between 50% and 95% of our brain activity is non-conscious; see 4 and 5 for related research). There are good evolutionary reasons for this. It takes energy to think and we humans like to conserve energy to respond to threats (there’s that dang primary organizing principle again). So finding ways to “automate” processes allows us to minimize energy consumption. It also means we can say and do things that create a trigger to others’ brains that we are a danger. When was the last time someone cut you off in traffic, or jumped ahead of you in a line, or lightly challenged your idea, or left you off of a meeting invite or … ? How did it feel to you? What did it cause you to think or say or do? Chances are, it elicited a slight (or possibly greater) negative chain reaction. This negative reaction, often referred to as a “fight or flight” response, further diminishes our cognitive functioning and can result in even more non-conscious reactions. What does “coaching” have to do with this? 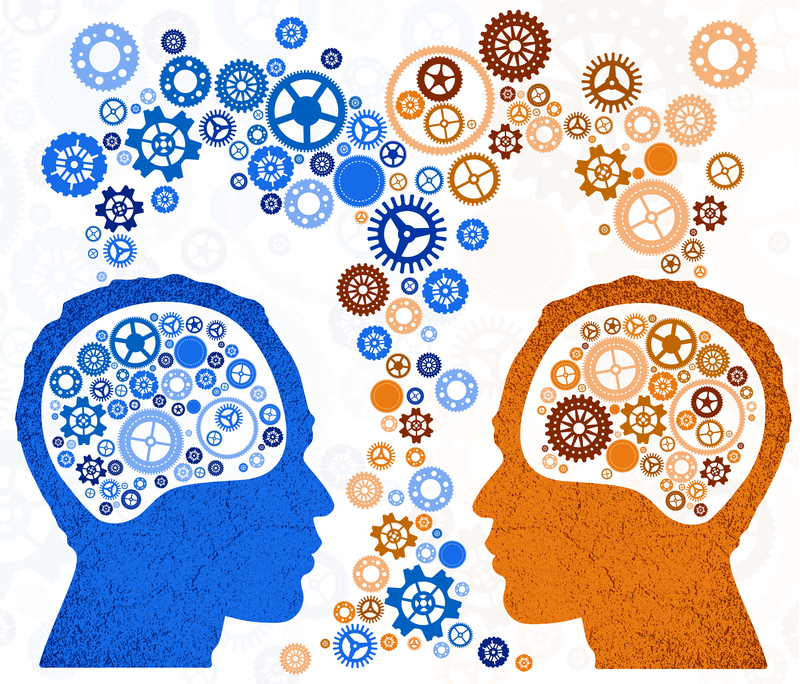 It turns out, taking a coaching or coach-like approach can be VERY brain-friendly IF the coaching approach is a brain-based coaching approach. Just as there are many people questioning the value of neuroscience, there are MANY people calling themselves coaches. Unfortunately, many of these folks are actually providing a service that is closer to mentoring, consulting or training–and there are significant differences. A coach is supposed to let the client “do the heavy lifting” and it is supposed to be a client-driven relationship, meaning the client is in charge. The coach provides the “space” to approach goals, topics, issues, situations, whatever in a different way. It is less about what the coach knows and more about tapping into the client’s ability. Many coaches take a directive approach, offering suggestions, hints, ideas, thoughts … to the client. While this can be helpful in some (and I’d say the minority of) situations, it tends not to be very brain-friendly. Giving people advice or telling them what to do (even if done in a “helpful” way) can still trigger danger to the hyper-sensitive brain. Even the questions a coach asks can trigger danger depending on the nature, focus and type of question asked. What does brain-based coaching look like? First, it demands a more-than-surface understanding of the brain, how it functions, its various networks, and the relationships of those networks. Second, it involves applying that understanding to our core communication skills: listening and talking. For instance, if we know the prefrontal cortex has a limited capacity for storing things short-term, we should be VERY judicious in our use of language. Third, it means using a brain-friendly framework for connecting with others that works with–rather than against–the brain. You might be surprised at how easy it is to get it wrong (or you might just be non-conscious, wink). And finally, it takes LOTS of attention and practice. The human brain has been evolving for centuries; I’ve only got a decade of brain-based practice. How about you? “We’re not that far removed from the caves.” What does brain-friendly sound like?